UCL: Which of the 32 Teams Will Start With a Win? The qualifiers which kicked off in June saw a few other teams join the ones that automatically qualified for Europe’s most exciting football league. 32 teams and several players will begin the 8-month journey to the final set to take place in the second quarter of 2019. 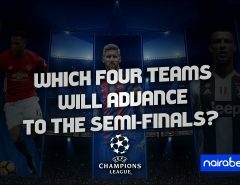 As we countdown to MatchDay 1, we take a look at the line-up of fixtures to be played as we ask just one question: which of these teams will win their first game of the 2018/2019 UCL season? 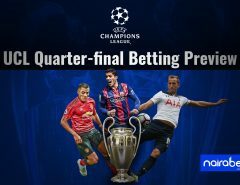 While Napoli will face FK Crvena in the other group game, Liverpool welcome Neymar, Mbappe and co. to the Anfield Stadium in one of the most anticipated games of Matchday. Both teams are among the few teams in Europe whose 100% record is still intact. With players like Mohamed Salah, Edison Cavani, and the world’s most expensive goalkeeper on duty in this game, it’s a must-watch game. Which of these two teams will start their campaign with a win? 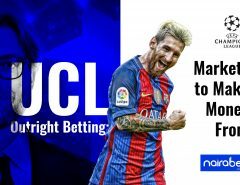 Click here to make your prediction and earn yourself some extra cash. In Group B, Barcelona may be the club with the most European titles, but Tottenham, Inter Milan and PSV won’t make it a stroll in the park for them. The last time Tottenham visited the San Siro to face Inter, it ended in a 4-1 loss for Spurs. The last 5 meetings bwtween both sides has been won by the home team. Can Inter win this game? In Group G, Real Madrid will start the defence of their UCL title against AS Roma. The last time AS Roma defeated Los Blancos was in 2014. The Italians will be looking to start their campaign with a win. Same with Manchester United as they start their campaign against Young Boys. Manchester City are favorites to win the UCL title this season. After a 3-0 victory over Fulham, the Citizens welcome Lyon to the Etihad Stadium as Pep tres to win a non-Barcelona Champions League trophy. Monaco will also face Diego Simeone’s Atletico Madrid on Matchday 1. But which teams do you think will start with a win? UCL group-stage games are not known for surprises, but will MatchDay 1 be full of surprises? Leave us your comments and share your thoughts with us. Never further away from the usual subjects.